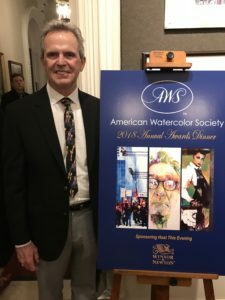 My artwork is the result of being in the moment when I travel and when I paint. I use everyday events as my palette and my camera my “net”. I catch people in landmark (mostly) locations doing what they do, living their lives. There is a sense of wonder for me in each painting. The painting, 30 ROCK II is one of those paintings. 30 ROCK II arose from one of many trips to New York City. There are so many locations in the City that are meaningful but, Rockefeller Center is one that is unique in that so many “moments” occur there every second. 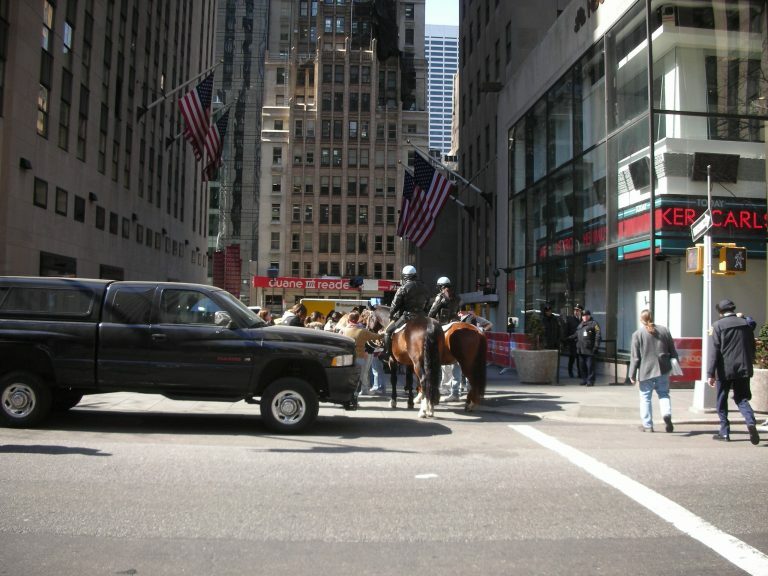 The NYC mounted police happened to be present that day and I took a number of photographs of them in different locations about the Center. 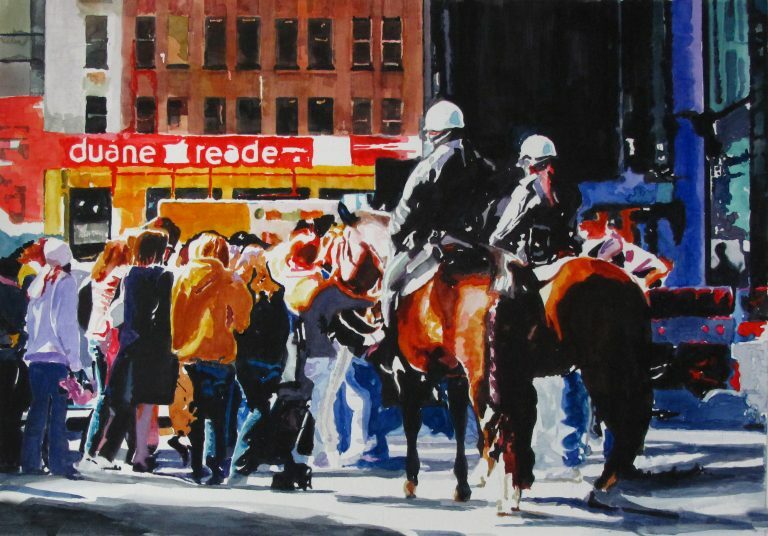 I was particularly happy with the two mounties that remain in the painting but a large portion of the scene was foreground with a large Dodge truck blocking the crowd behind it. I’m comfortable using my artistic license to tell my story in the way that I want it to be told. 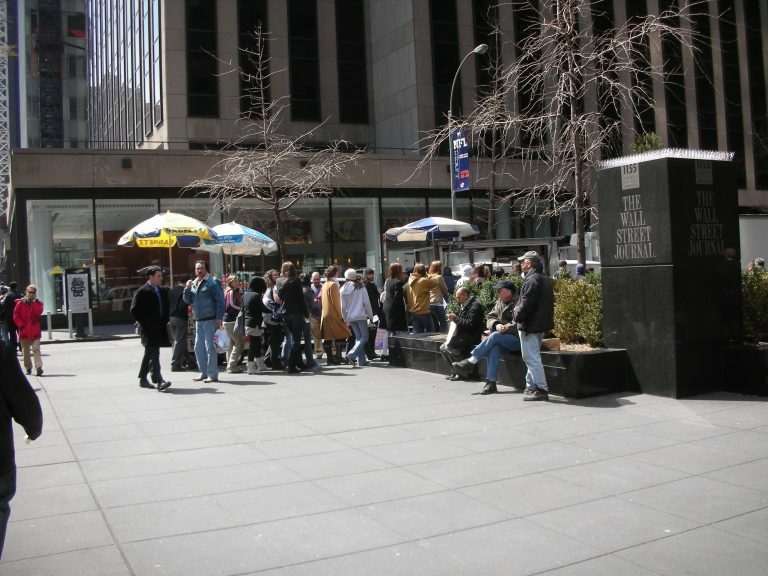 Fortunately for me, a crowd of youngsters was queued up at a nearby food cart. I merged the images into a coherent composition that resulted in the finished painting. See the two images below and continue to wonder how lucky I was that spring day some time ago. Choosing the subject matter is the easy part of creating fine art but, designing and composing a piece is the essential ingredient.